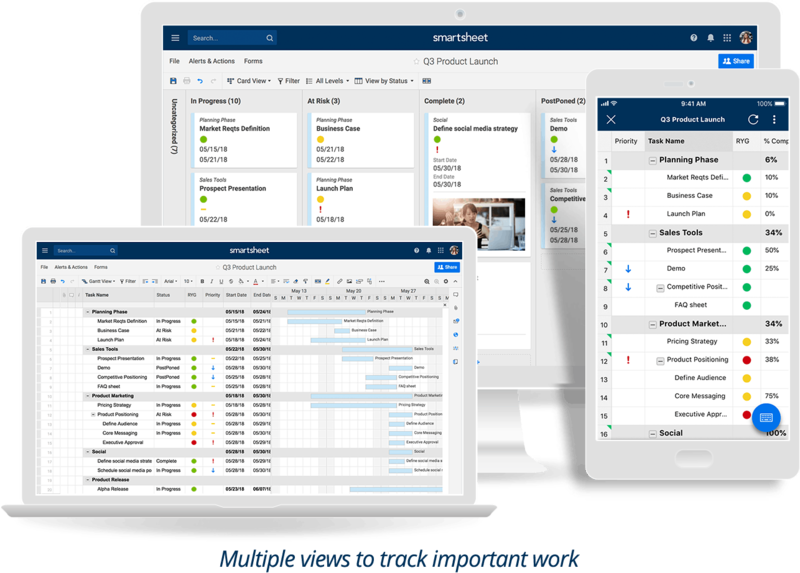 Smartsheet is the best way to plan, capture, manage, automate, and report on work, enabling you to move from idea to impact — fast. Increase the Agility of Work Our simple, intuitive interface empowers business users to quickly configure, adapt, and improve their work processes to speed execution. Eliminate Productivity Killers Frictionless sharing with stakeholders eliminates silos and brings teams together. Clear accountabilities foster deeper ownership and more engaged teams. Differentiate Through ExecutionWhether opening hundreds of retail locations or staging the world's most-watched sporting events, leading organizations rely on Smartsheet to gain a competitive edge. 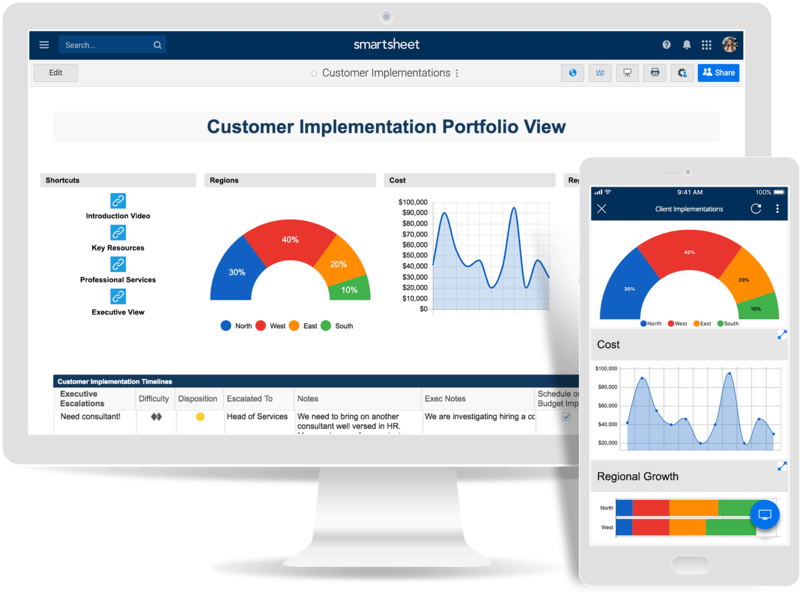 Gain Real-Time Visibility Make the right decisions, at the right time, by surfacing information in real time with Smartsheet dashboards and reports. Identify and Share Best Practices Identify teams and processes that are working well to spread best practices across the organization. Inform and Engage Your Team Provide context into work execution and status, and keep team members informed, engaged, and accountable. Make Work More EfficientEmpower business users to speed execution and foster innovation with forms that make it easy to collect and act on data, and with easy-to-configure rules that automate repetitive actions. Maximize the ROI of Your Enterprise Systems Connect and sync work across Salesforce, Jira, Microsoft Office 365, and Gsuite with ready-build integrations. Scale Processes with Consistency and Confidence Minimize human errors, manual processes, and risk when managing work at scale. Ensure consistent execution and enable portfolio reporting with operational controls and automated actions. 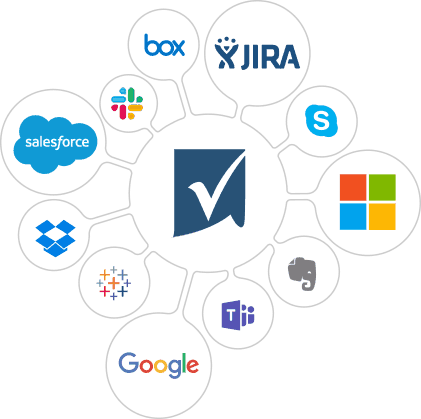 Proven and Enterprise-Approved Security 75% + of Fortune 500 have vetted and approved Smartsheet to power their most important work at scale. 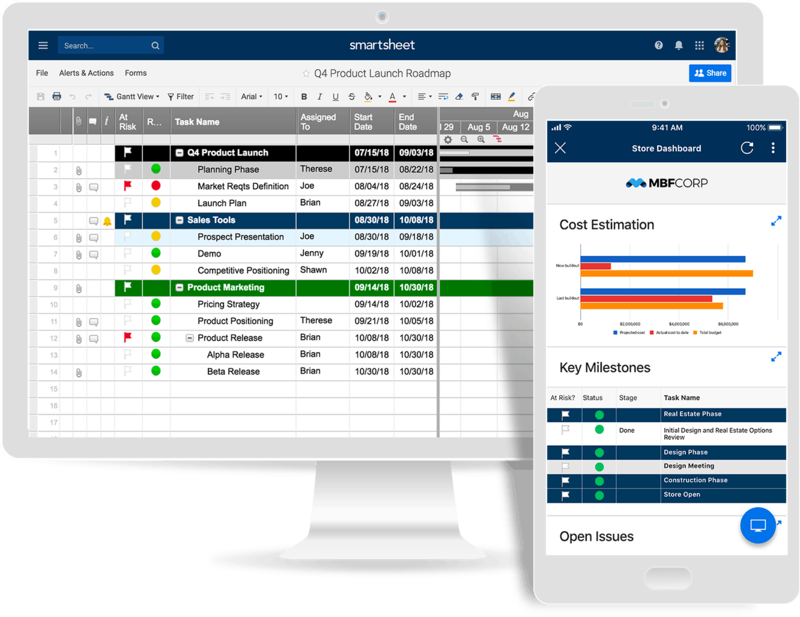 Administrative Visibility and Controls Rich administrative controls around data and user management enable IT to use Smartsheet within their compliance and governance frameworks. Pricing Tailored to Your Needs We will work with you to understand your business requirements so you can confidently select the right plan, training, and specialized solutions. Built-in Connected Experiences Rich, native connections into Microsoft Office365, Google Apps, Box, Dropbox, Skype, and more enable users to work across systems seamlessly. Sync and Extend With Connectors High-value connectors with enterprise applications like Salesforce and Jira enable your business teams to sync and automate data across the organization. Extensible APIs for Deeper Integrations With REST-based APIs, easily connect and extend Smartsheet to build custom applications and deep integrations with line-of-business systems.